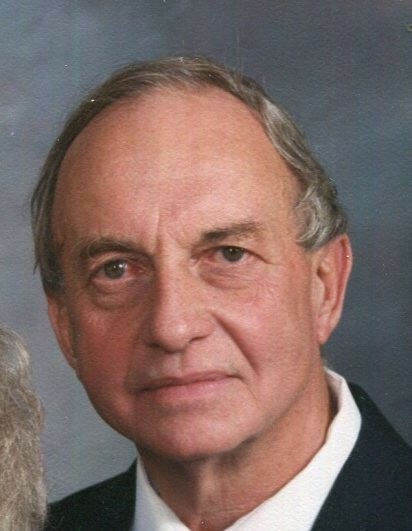 Fred Cornet, age 88, of Mount Vernon, went home to his Lord and Savior on February 1, 2019 at his home. Fred was a member of the Grove Church of Christ. He retired from Cooper Bessemer after 47 years of service. Fred also owned and operated Cornet's Water Well Service for many years. He was always known as a hard worker and was there to help out and give honest advice. Fred proudly served in the United States Army during the Korean War. Although he will be missed by his family, they take comfort knowing he is now reunited with his loving wife of 68 years and “Gambier Sweetheart” Lorena. He is survived by two daughters: Cathy (Joe) Conkling of Mount Vernon and Cristia (Michael) Small of Gambier; four grandchildren Tiffany (Tom) Burke of Mount Vernon, Amie Hess of Mount Vernon, Michael (Angie) Small of St. Cloud, Florida, and Tracie Goebel of Westerville. ; great-grandchildren, Jordan Langdon, Bradyn Burke, Marissa Speer, Alex Small, Gavin Burke, Amber Small, and Trevor Goebel. He was preceded in death by his parents, his wife Lorena Cornet in May 2018 and a sister, Vivian Roth. Friends may call on Wednesday, February 6, 2019 from 12:30 – 2:00PM at Grove Church of Christ, where funeral services will follow at 2:00 PM with Pastor Dave Dahlstein officiating. Burial will be in Union Grove Cemetery with military graveside honors by the Knox County Joint Veteran's Council. The Lasater Funeral Home is handling the services for the Cornet family.